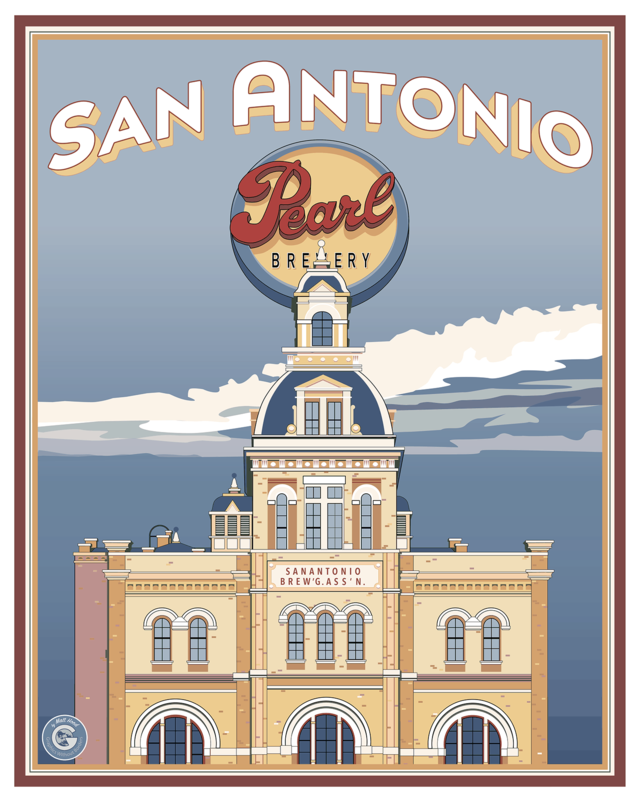 One of San Antonio’s most flourishing neighborhoods is the recently renovated Pearl Brewery District.The 22-acre site just north of San Antonio’s downtown was an active beer brewery from 1883 to 2001. Now it’s the site of high-end restaurants, boutique hotels, modern condos and up-scale shopping. 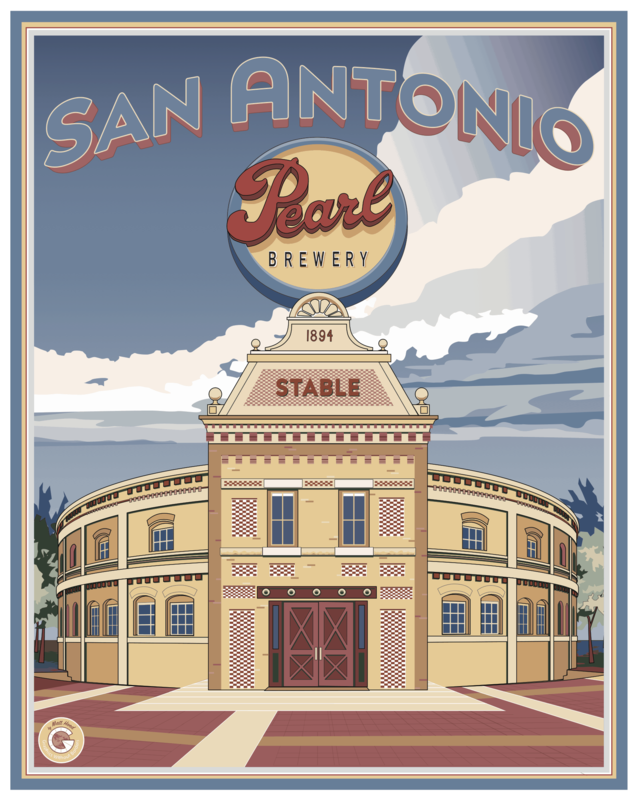 If that resume alone won’t bring the crowds, these color-coordinated travel posters will try to help. 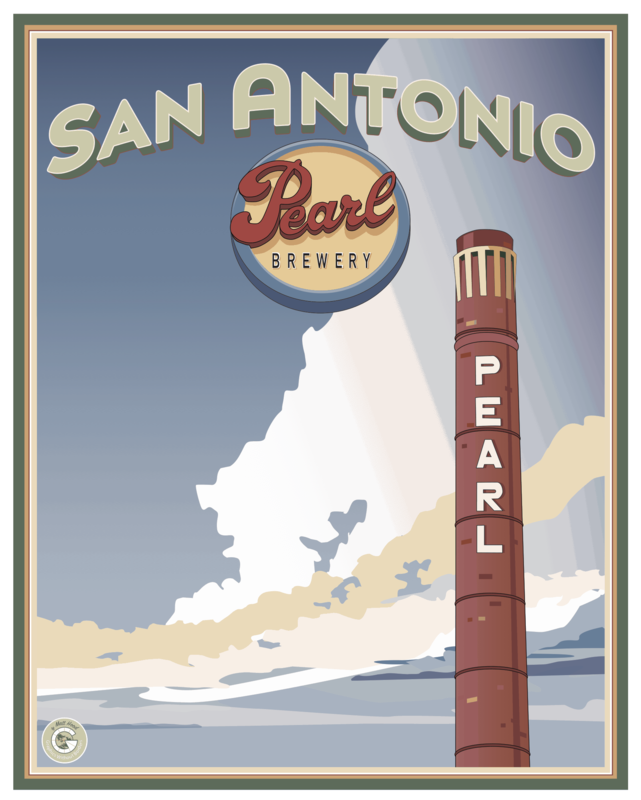 Take a few of the iconic landmarks of the Pearl Brewery district and present them in the style of a vintage travel poster.